DAVID LE/Staff photo. 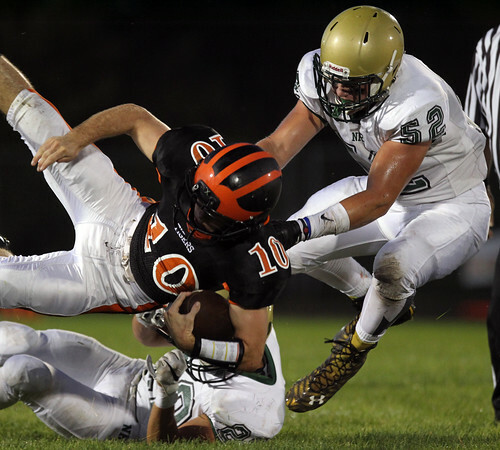 Ipswich senior quarterback Jake Long (10) gets dragged down by North Reading junior Bob O'Donnell (52) but picked up a first down for the Tigers. 9/11/15.